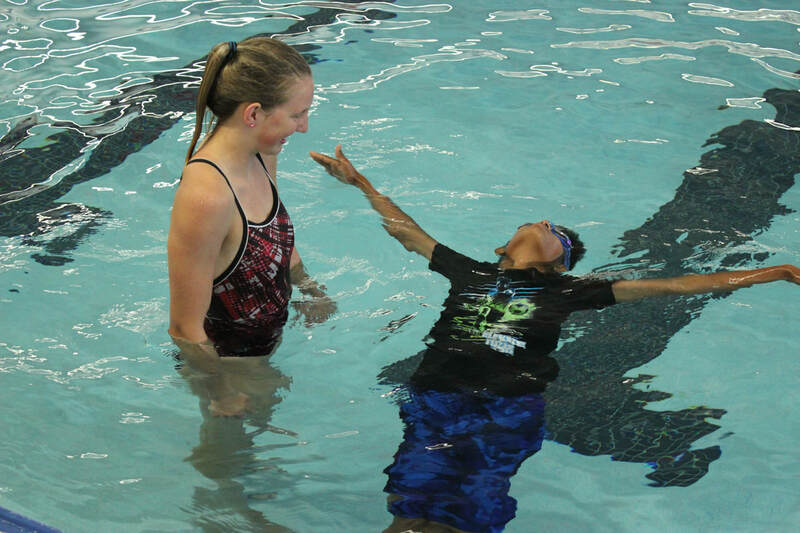 Below you will find the 1-5 year old swim levels as well as the 6-18 year old swim levels and a brief explanation of the critical skills the children will work on. We reserve the right to combine classes based on the number of students. Our goal is to maintain a 1:5, instructor to student ratio. 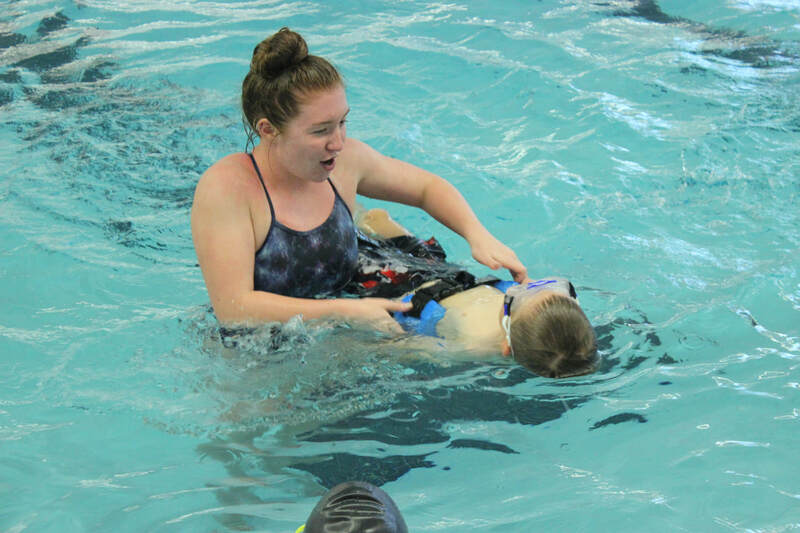 An introduction to the 3-5 year old swim lessons. 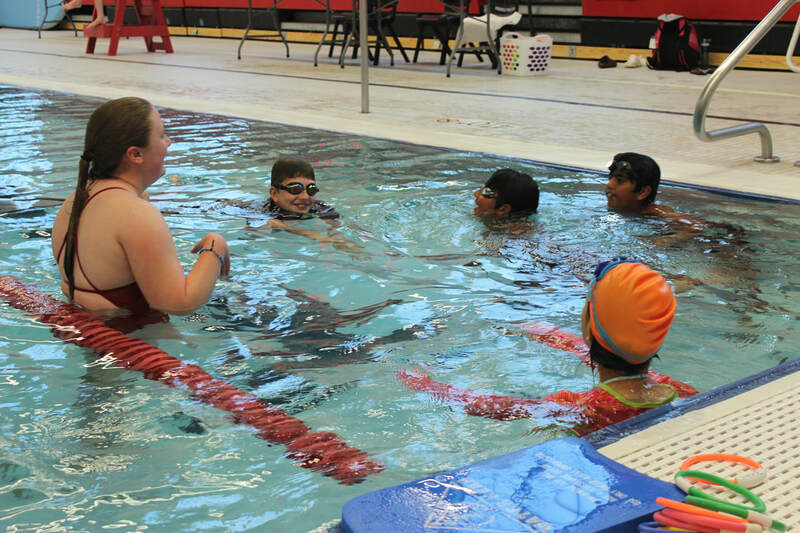 Water games, songs, and fun are emphasized in this water adaptation class. All children ages 1-3 years old are welcome! **This class requires a parent/guardian to be in the water with the child. 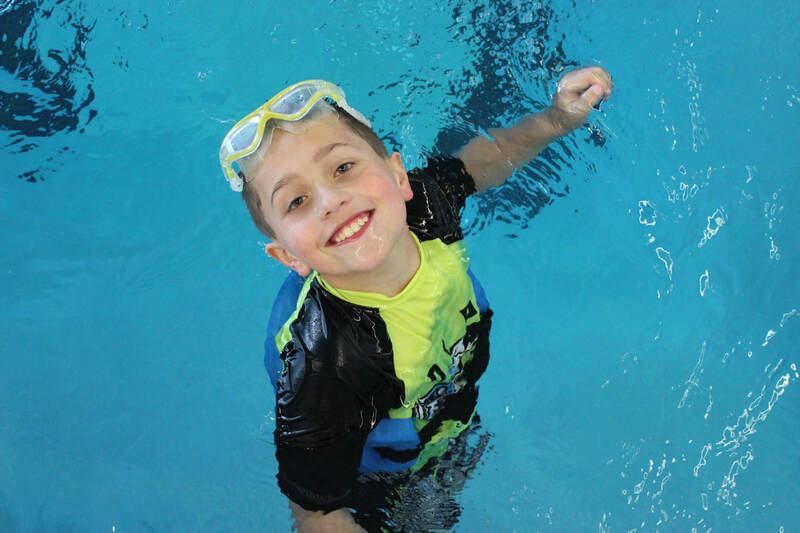 Entering the pool safely, front and back float for 5 seconds with support, blowing bubbles, jumping into the water with support, showing comfort and improving self confidence in the water, front and back glide with support for 10 yards. Front and back float for 10 seconds, jump into deep water with support, demonstrate and improve self confidence when in water, front glide with face in water without support, back glide without support. Blow bubbles with face in the water, 5 bobs submerging entire head, front and back float 5 seconds with support, jump into water with assistance, demonstrate and improve self confidence, swim on front and back 10 yards with support. 5 bobs with rhythmic breathing, front and back float 5 seconds without support, jump into water and return to side without assistance, demonstrate and improve self confidence, swim on front and back 5 yards without support, perform elementary backstroke arms with flutter kick 5 yards without support, flutter kick on front and back with kick board 25 yards. Front and back float 10 seconds and return to a vertical position, jump into deep water and return to side, tread water 15 seconds without support, perform front and back glide without support, perform freestyle and backstroke 15 yards, perform elementary backstroke arms with intro to whip kick 15 yards, flutter kick on front and back with kick board 25 yards. Back float 10 seconds in deep water, jump into deep water and swim 10 yards, tread water 30 seconds, demonstrate and improve self confidence in deep water, swim freestyle, backstroke, elementary backstroke, and breaststroke 25 yards, perform whip kick on front and back with kick board 25 yards, perform a feet first surface dive, demonstrate open turns. Treading water 1 minute, swim freestyle, backstroke and elementary backstroke, using open turns for 50 yards, swim breaststroke for 25 yards, kick whip kick and dolphin kick for 25 yards, perform a head first surface dive and a standing dive from deck. Treading water for 3 minutes using a variety of kicks, swim freestyle and backstroke 50 yards with turns (open and flip turns), swim elementary backstroke using open turns 50 yards, swim breaststroke 50 yards using open turns, swim butterfly 25 yards. Tread water without using arms 1 minute, swim freestyle and backstroke 200 yards using turns (open and flip), swim breaststroke and butterfly 50 yards and the individual medley 100 yards. This level is appropriate for swimmers who wish to improve their competitive swim strokes. need Help finding the right level?